Everyone likes to get new things. Unfortunately, unless we also relinquish old things at the same time, the posessions tend to pile up, creating a surplus of belongings and a lot of closet clutter. This problem can permeate every aspect of our lives from kitchenware to toys to media collections. However, clothing stockpiles, in particular, tend to suffer from excess if not carefully purged on a regular basis. 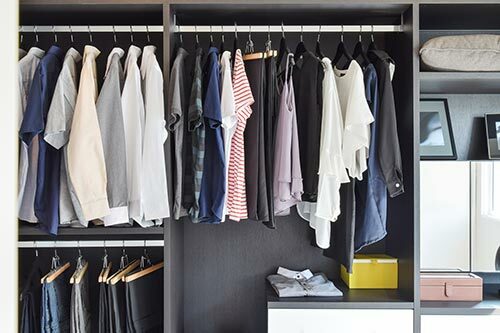 One quick and easy way to declutter your wardrobe is to try the closet hanger experiment recommended by Oprah Winfrey in her home organizing tips. Get started by hanging all of your clothes in the reverse direction. After wearing an item, return it to the closet with the hanger facing the correct direction. After a few months, you'll have a clear picture of which clothes you really don't wear anymore and can safely discard. 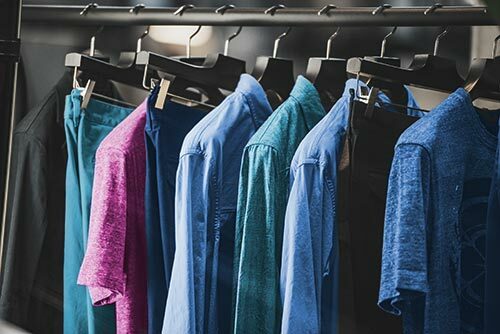 Keeping in mind that a lot of clothing is seasonal, you may want to repeat this procedure a couple of times a year, concentrating on clearing out dated, wrong size, or items you simply tend not to wear anymore. 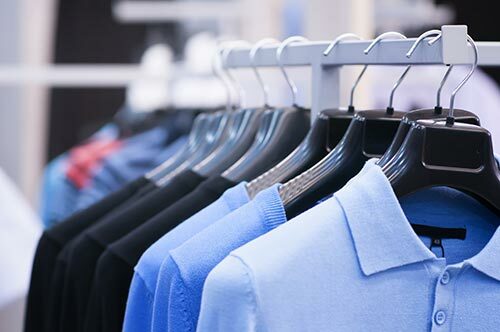 You will be rewarded with less stress by keeping things neat and limiting yourself to your old favorites within a modern wardrobe that is the correct size. Feel good about yourself by donating all the items you don't wear to charity — there will be someone who will appreciate and want your leftovers, especially if they are good quality. Don't worry if the items seem outdated to you, as long as the material and overall quality of the items are first rate. A lot of people like to include a few retro pieces in their wardrobes. You'll be surprised to see how many folks want your left overs. When all your clothes are neatly hanging from matching hangers in your closet, step back and access the space. If your closet still seems to be a tight fit for your clothes, it may be time to think about some closet organizers, closet accessories or even a complete closet organization system. One of the best ways to organize an accumulation of shoes within a relatively small space is with a rotating shoe organizer that fits into the corner of any walk in closet. A forty square inch corner can accommodate up to 200 pairs of shoes — enough to satisfy most shoe lovers. Pull-out pant and clothing racks allow for clothing to stacked vertically while still hung from a hanger, further maximizing the space while allowing for easy access to all items. Additional closet accessories like shelves and acrylic shelf dividers are good for purses, hats and folded items like sweaters. Installing a mirror can make any space seem larger — either within the closet if it is a walk in, or use a pull-out closet mirror for tighter spaces. Get started on the road to organization with a wardrobe purge followed by a neat and orderly closet system for storing your remaining posessions. Let one of the talented closet designers at Closet Works help you achieve that perfect closet. Request a complimentary design appointment today.